A O' SEW PRETTY ORIGINAL! 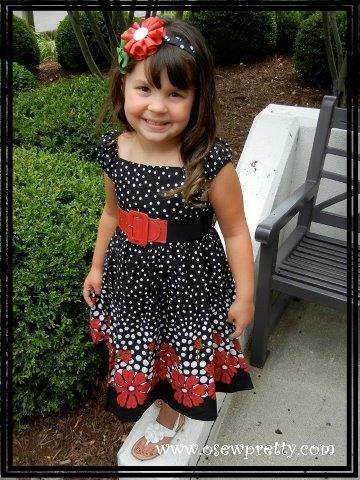 Shown in red with jungle green leaves with white button, on black polka dot ribbon wrapped headband. Available with optional monogram and in any color combination.